We LOVE these terra cotta clay pot people! You can find out how to make them at ‘Country Chic Cottage’. 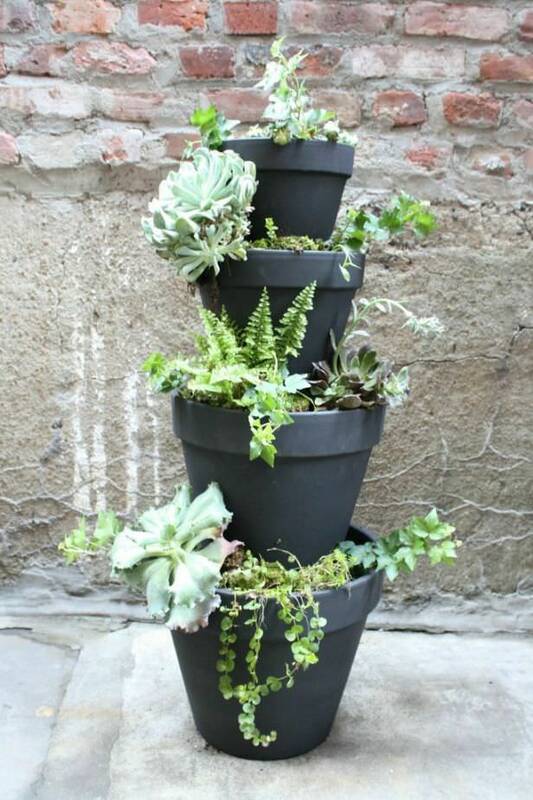 They all use the same basic technique, what a creative and cute garden project! Personalize them, or make a whole clay pot people family! 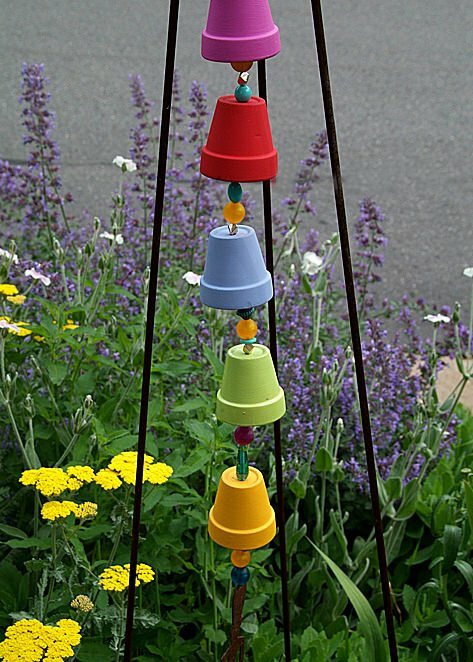 ‘Garden Muse‘ has a great clay pot craft tutorial on making a bell tower wind chime from mini pots. 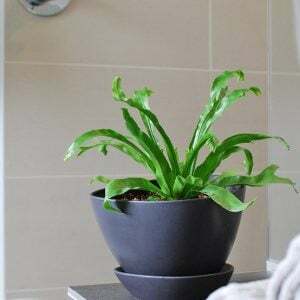 We might prefer to leave the pots natural, but the idea is so original! 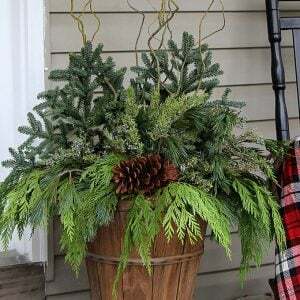 This tiered clay pot planter from HGTV would look great on a front entry landing, and we love that it is filled with foliage plants… but you could use flowering plants as well within any color scheme. Learn how here. 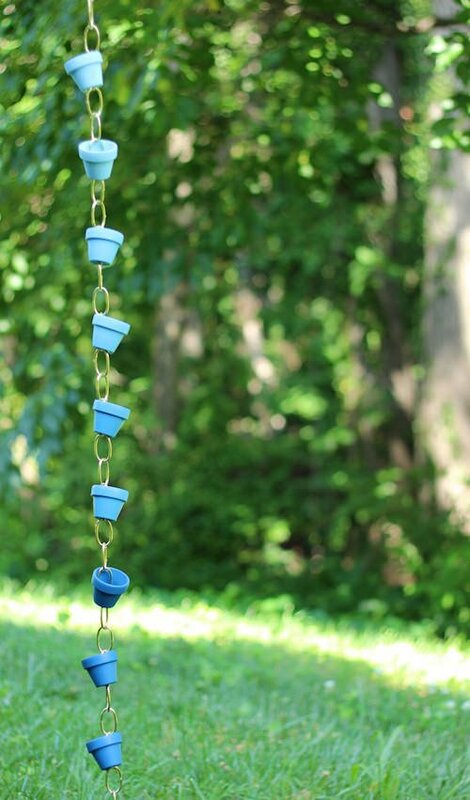 This rain chain made from clay pots from ‘Natalie Witt‘ is very cool… again, we prefer the natural, but I am liking the blue as well! 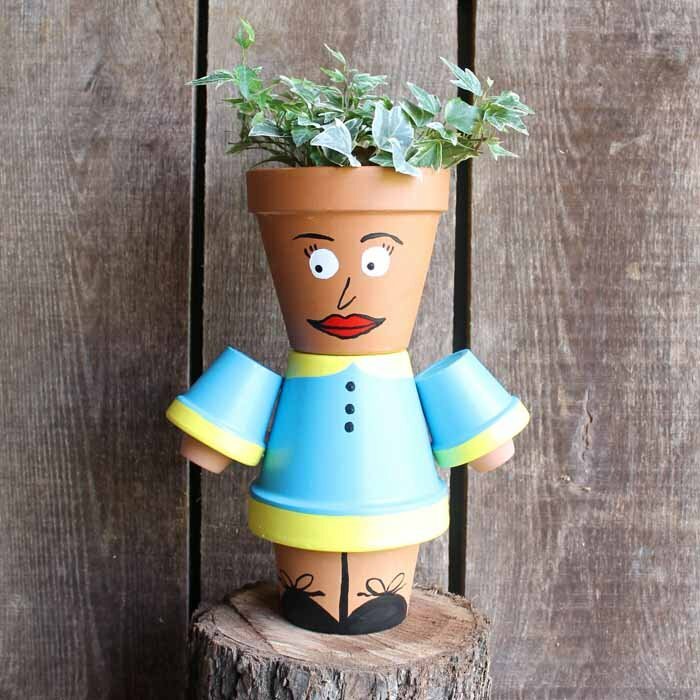 This clay pot craft is easy and inexpensive, and just says, “A gardener lives here.” This would make a great gift for a gardener as well! 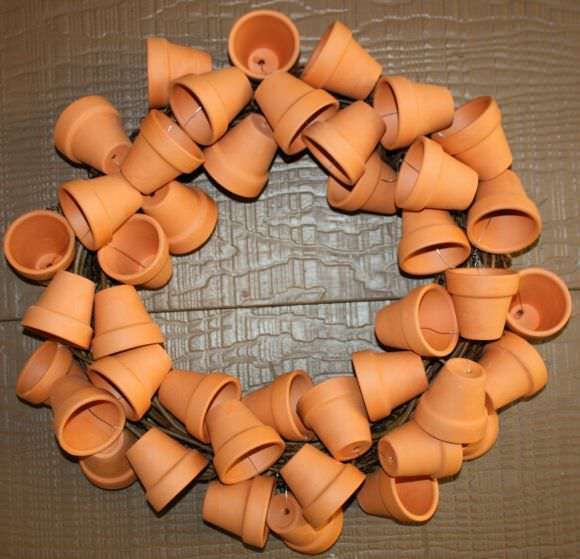 Learn how to make this wreath from ‘Christy Robbins‘. 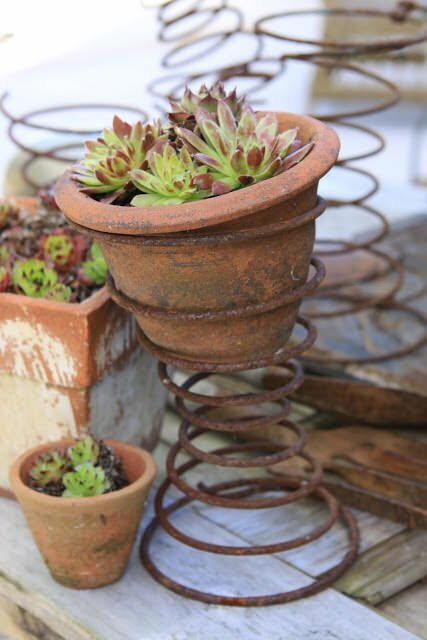 This inspirational idea is a clay pot seated in an old vintage spring for a cool junk style vibe! From ‘ Sjarmerende-gjenbruk “. Which clay pot craft is your favorite? Let us know in comments, and we will work on finding more great projects for you! We think you will also love our posts on DIY Garden Trinkets & Yard Decorations, and How to Make Wind Chimes! I love this idea! The whimsy is so wonderful! The child on the trike, the ladies having tea and the children on the swing all make me laugh out loud. Outstanding ideas!